If you’re not into watching the Super Bowl for the game, the epic commercials, or the half-time show, then at least tune in for the new “24: Live Another Day” promos. Fox’s reboot of the Kiefer Sutherland real-time drama “24” will find Jack Bauer racing against time in London over 12 episodes. The miniseries event may not make its premiere until May 5, but fans will get multiple sneak peeks of “24: Live Another Day” during Sunday night’s game. According to Variety, a series of 10-second promo spots will play throughout the evening, leading up to what Fox calls a “show-stopping” 45-second first look. Hopefully the televised reunion of Sutherland’s Jack and Mary Lynn Rajskub’s Chloe O’Brian will quench your “24” appetites for a few months. The Super Bowl XLVII airs Sunday, Feb. 2 at 6:30 p.m. EST on Fox. 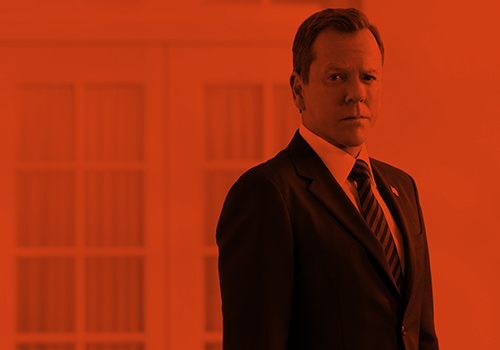 Make sure to tune in to see the first promos for 24: Live Another Day!!!!!! This entry was posted by Courtney on Saturday, February 1st, 2014 at 5:52 pm. It is filed under 24: Live Another Day, News. You can follow any responses to this entry through the Comments Feed.